We hear about FAKE news all the time. Did you know you also need to watch out for FAKE chocolate? We don’t fall for that at our healthy living store in Babcock Ranch, Florida. Here is what you need to know so you don’t fall victim. The media has done a great job of telling us that dark chocolate is good for us. What they don’t share is the rest of the story. Most people look for at least 70% cocoa and assume that is healthy. Unfortunately how it’s processed determines how many flavonoids are found in chocolate. Instead of worrying about how much cocoa is included, make sure you know how many flavonoids or flavanols per piece. Make sure you find a dark healthy chocolate that is sharing this vital information. According to SFGate Article What Is a Flavonoid in Chocolate? The benefits of flavonoid rich dark chocolate are many. Unfortunately most chocolates are made with waxes, fillers and processed sugars and have very little if any cocoa or cacao content at all. What we consider “Good” at the health food store still are heated like traditional candy. You can verify this on the back of the label by checking to see if it is made with cocoa liquor or has been conched. Cocoa liquor is created when this delicacy is heated for days. Unfortunately this heating loses cocoa flavonoids which are so beneficial. Conched is a more creative way of saying they are cooked. If you cooked your vegetables for 3-4 days, how much benefit would they offer? Thankfully there is a company making minimally processed premium chocolates that is not available anywhere else. In fact, they are the only ones with the rights to “Healthy Chocolate”. One Beyond Square is just 35 calories, 1 gram sugar, 1 net carb and equal in antioxidants to 1 pound of raw spinach. The vital cocoa flavonoids are noted on each individually wrapped piece. 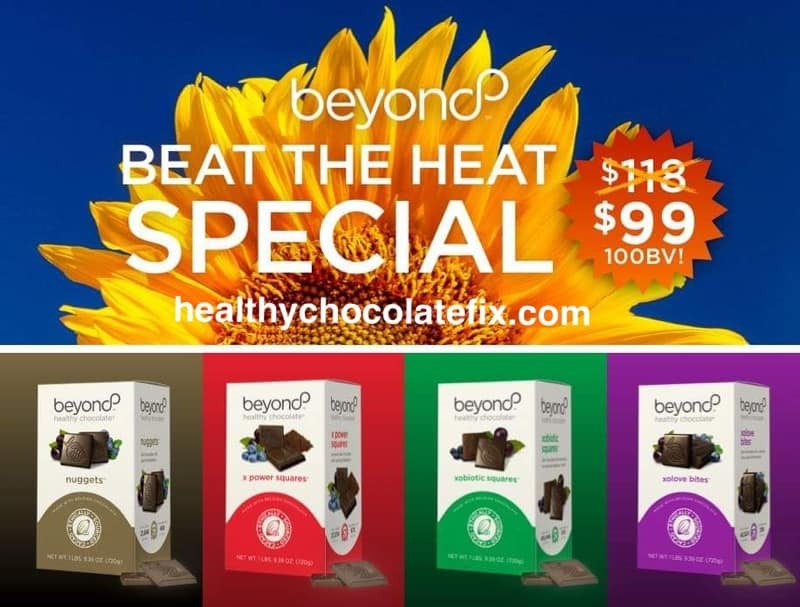 At the very least, take advantage of the Beyond sample order and try this tasty and healthy chocolate for yourself. They also have a current stock up sale which includes Beyond nuggets, Beyond Power Squares, Beyond Xobiotic (probiotic chocolate) and my personal favorite, Xo Love Bites with maca and L-arginine. Sale is valid now through April 14th, 2019 at just $99 a box (120 count) when you agree to order monthly. Product also available at retail pricing. You may remember these as Xocai, name has changed. Same great product. 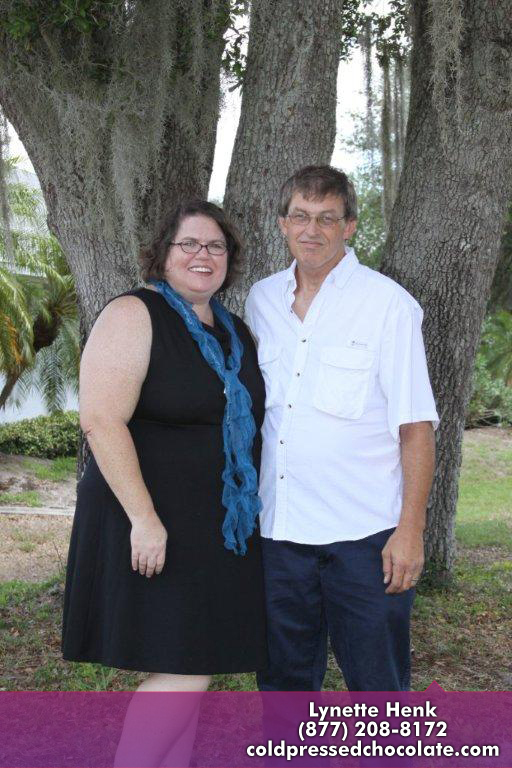 These products have been very popular here in Babcock Ranch, Florida. If this is not available in your area, Beyond does ship within the United States, Canada and Japan. They are quickly expanding and have business opportunities to start your own home based business at a very affordable cost sharing these delicious morsels and the new cacao based neurocosmetic skincare line. 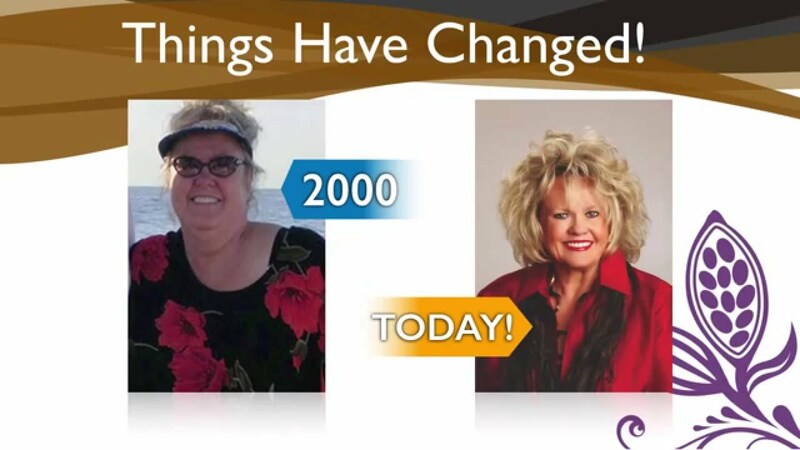 Ask how you can earn $1200 in one week or $4800 in two, sharing with current commission plan valid through June 1st, 2019. 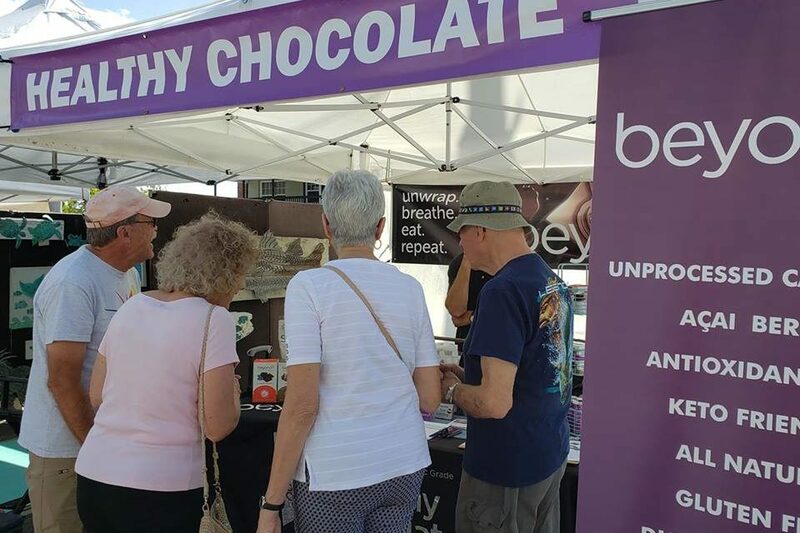 Contact Lynette Henk of Three Sons Marketing LLC with any questions at (941) 268-1354 or visit HealthyChocolateFix.com for more information. Skip the FAKE chocolate. You deserve the real deal. PreviousRemember Xophoria Cacao Beyond Beauty Skincare For Men and Women by Xocai? It’s BACK! NextSale On Beyond Healthy Chocolate; Much Cheaper Than Ebay Or Amazon!